No trip to sunny South Florida is complete without visiting the barrier island of Miami Beach. As one of the most talked about and stylish cities in all of the southeastern United States, this perennially contemporary melting pot of art, entertainment, dining, and culture provides a wealth of things to see, do, and explore. Let’s take a look at some of the most notable attractions. The South Beach neighborhood encompasses a relatively small portion of Miami Beach, but what it may lack in size it more than makes up for in its allure, style, and attractions. No matter what time of day it is, South Beach is always active with people dancing until the wee hours of the morning at a nightclub, enjoying an al fresco meal on Ocean Drive, sunbathing on the beach, the list goes on and on. Many people call South Beach their home or use it as their vacation home. For great shopping and incredibly varied dining, Lincoln Road remains a Miami Beach staple and a much-beloved local favorite. This pedestrian-friendly mall is home to numerous shops, restaurants, galleries, a cutting-edge cinema, and much more. It is also a fantastic spot to get a taste of just how diverse and welcoming South Florida is. Street performers, tourists, a colorful cast of people are always out and about on Lincoln Road. Some of the numerous highlights include the classic yet newly restored Colony Theatre and ArtCenter. Miami Beach may be known for its cutting-edge style but it’s also incredibly rich in history and culture. Classic Art Deco design can be found throughout the Art Deco Historic District, providing a visually captivating glimpse into Miami Beach’s past. 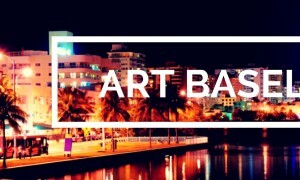 Catch an orchestral performance by the prestigious New World Symphony, admire the pieces at The Wolfsonian, admire the vivid and critically lauded work at Britto Central, all of these places will enrich the mind. Another great perk of all these attractions is you can reach most if not all of them without having to drive if you don’t feel inclined to. Miami Beach has an elaborate citywide trolley system that you can hop on and off of without having to pay a dime. Its hours of operation are Monday through Saturday from 6 am to midnight and Sundays from 8 am to midnight. The trolley visits all major areas including South Beach and the North Beach area. No matter where you go in Miami Beach or what you’re in the mood to do, you’re bound to find plenty of exciting attractions. Spend a day with friends and family perfecting your South Florida suntan at the beach, dance the night away, have a five-star meal by the ocean, there is never a dull moment in the barrier island.